Following JCDecaux’s announced acquisition of APN Outdoor, the Australian OOH company has launched its newest data analytics offering, one it says will maximise the impact and effectiveness of out-of-home advertising. APN says the software, Dn’A, has been in development for the past three months – informed by data scientists from PwC and data exchange technology platform Data Republic. “Earlier this year, we made a commitment to the market that we would invest in data innovation to increase the insights we can deliver to advertisers, to make their outdoor campaigns more effective,” says APN Outdoor CEO and MD, James Warburton. APN says more is to be added to Dn’A as it progresses. “By running Dn’A in-house rather than outsourcing it, we can ensure greater flexibility in terms of responding to our advertisers’ needs, expanding data sets and giving our clients the insights they need to drive greater effectiveness and better results,” continues Warburton. 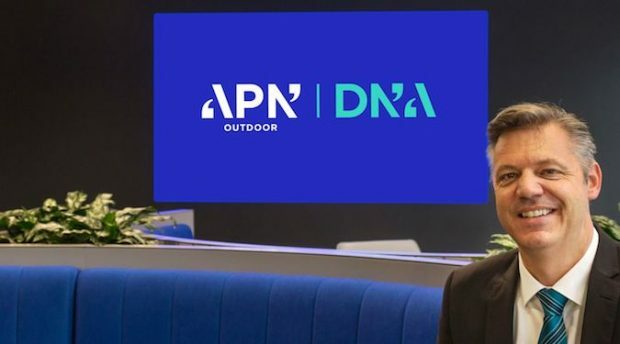 Data Republic chief analytics officer, Steve Millward, says, “It’s fantastic to see APN Outdoor develop such a powerful tool using multiple data sources securely exchanged on the Data Republic platform.